Kim met a really interesting lady called Sue Haswell recently who practices and teachers laughter yoga. We were fascinated by this and wanted to find out more so asked her some questions. Hope you enjoy reading about it. Laughter Yoga is a form of yoga that was developed by a medical doctor, Dr Kataria, in Mumbai in 1997. It involves a combination of laughter, deep yogic breathing, value-based exercises, and relaxation. A typical Laughter Yoga session will be designed to suit the people doing it. So it could be a totally seated session for people who are not very mobile. Or it could be a very active session, involving much play and activity. In Laughter Yoga we get in touch with our inner child. We allow ourselves to be totally at one with our inner child, embracing the needs and wants of this inner person who may not have been heard or valued for many years. We encourage playful laughter through connectivity, eye-contact and the very infectious nature of laughter. Laughter itself grows and soon we are belly-laughing for absolutely no reason. Following the laughter session we will then hold a laughter meditation, where we laugh unconsciously, sometimes through a laughter carpet lying on the floor, and sometimes we will all be seated. People can become “at one” with their laughter, united with everyone else in the room. Actually to say “at one” can be bit of a misnomer because as people feel the laughter spread through the room, often they become no longer “at one, but feel a part of many”. 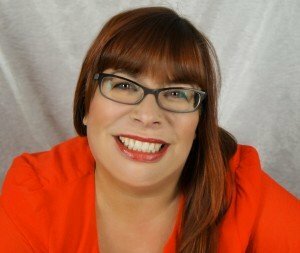 What are the benefits from laughter yoga? The benefits of Laughter Yoga are amazing. There are loads of physical benefits and emotional benefits and many of these are just so obvious we totally forget. To really understand the emotional benefits of laughing, just recall the last time you had a great laugh. The warm glow you felt during and after, and also how much calmer you felt after laughing – and remember the greater connection you build with the people you are sharing laughter with. What you may not have realised after this laughter, is that the benefits stay with you for many hours afterwards. You can be light hearted, and feel less stressed for much longer after laughing. “We don’t laugh because we are happy!”…… Actually we are happy because we laugh. Some time ago, scientists uncovered that we can produce Endorphins, the “feel-good” hormone, just by laughing. Also – remember that these amazing hormones, don’t only help us feel great – they even help to reduce pain. The act of laughing impacts on other hormones. Some of these work to suppress the stress hormone Cortisol… by suppressing Cortisol, we become less at the mercy of stress and build our stress resilience. – us to inhale more oxygen. Deep belly laughter expels air, which we can fill with fresh air. Normally we only use a fraction of our lung capacity. Laughter ensures we use much more. – Improve our immune system – with all this oxygen, it is a fabulous tool for both brain and body to enjoy a burst of oxygen to our cells. – And combining laughter with deep Yogic breathing means we can take in even more oxygen to flood our bodies with it. – Give us a therapeutic massage to our internal organs, giving the diaphragm, abdominal, intercostals, respiratory system and facial muscles a great workout. Then from an emotional perspective, it is well known that the quality of our connections, improves the quality of our lives. Laughter brings people together, it is a great social connector. 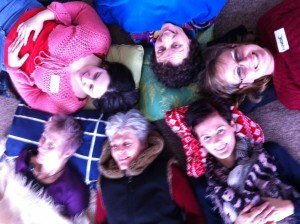 Using Laughter Yoga we can form bonds, make friends, feel happier and more connected with people. We cannot leave this without saying that laughter can also boost our bank balance! In many studies it has been shown that happier people earn more money http://scitechdaily.com/happier-people-earn-more-money/. These studies show that happier people are more optimistic, more productive, get better performance reviews, take fewer sick days and invest in themselves. Remember – we don’t laugh because we are happy, we are happy because we laugh – well now we can see how it is possible to laugh all the way to the bank! How did you first become involved with it? I got very stressed back in 2011. I mean ridiculously stressed. I was so stressed that it came out in very physical symptoms and my left arm, shoulder and neck completely and painfully seized up. For weeks. I had to cancel a 2-week holiday to Cuba as the doctor said I was unable to fly with the state of my neck. And the pain lasted for years – it is only just completely gone, some 4 years later. During the initial stress, I decided that I wanted to do something about this. I’d never experienced so much pain brought about by an emotion, and it seems that I could tackle the situation with emotion too! So I looked into emotional therapies, and googled the UK’s worst problems (turned out they were stress and depression!). So I decided laughter was the way. I searched high and low to find Laughter Therapy, but it wasn’t science-based enough for me. When I found Laughter Yoga, I nearly ignored it because I thought it would be very “woohoo”. However, the science totally backed up the practice. It is a very grounded and totally sensible approach. Once I discovered it, I threw myself totally into Laughter Yoga. 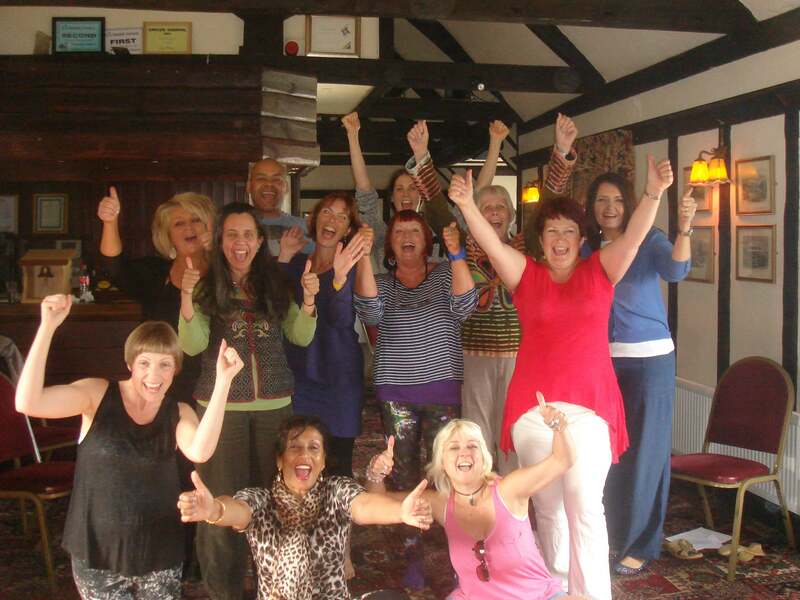 I trained as Laughter facilitator, a Laughter Yoga Leader and went on numerous Laughter retreats. Finally, I trained as a Laughter Yoga Teacher (teaching other people to be Laughter Yoga Leaders) early in 2013, and trained with the actual instigator, Dr Madan Kataria, later that year. I’ve not looked back. I LOVE Laughter Yoga, and I love training people to be leaders. The work is so rewarding and varied. One day I can be working with people in a corporate environment, delivering stress management and Laughter Yoga. Another day I can be working with a group of cancer patients. Everyone gets so much out of it. It’s about encouraging people to take back their laughter. There are a number of studies, but many of them have similar figures showing that on average a child laughs around 150 times a day – an adult laughs only 6. I want to bring up the averages. Help us to easily regain our lost laughter and get in touch with our inner child. And now you teach people to be laughter yoga leaders? Yes. I now run 2-day training programmes to teach people to be laughter yoga leaders so they can go out and deliver their own laughter yoga sessions. The training equips them with a great understanding of Laughter Yoga, and also teaches them how to lead a group. After 2 days people are ready to deliver Laughter Yoga sessions. The training is very experiential. There is a manual, but I send that out in advance, so that the training can focus on the doing. It’s very transformative, a deeply moving 2-day session, but also it’s a laugh! So how can we add more laughter into our lives? 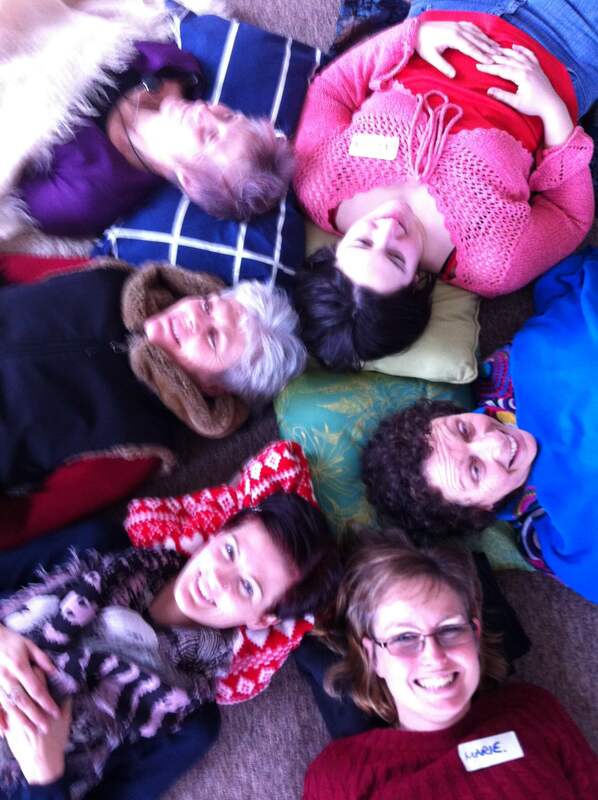 Well – you could look out for laughter yoga sessions in your community and join in. You’ll certainly meet a lovely bunch of people and connect with them very quickly. On a daily basis, it’s about getting as much laughter into your life as possible – just because you can! For example, I will start each day with a “Laughter Shower”. I literally do get into the shower and start laughing. It sounds crazy, I know. But I get such a buzz from this, it takes no extra time at all, and nobody can hear me over the sounds of the shower. Other people I know squeeze laughter in by stealth – for example they will laugh along to the sound of a kettle boiling, or to the noise of their car engine. There aren’t many places where laughter is inappropriate. And it does boost your emotional, physical and spiritual presence, so I say just get laughing. If you don’t feel much like laughing, the good news is, you can get all the benefits by “faking it”. If you just smile and say “ho ho ha ha” a few times, you will start to get the benefits of laughter! Which in turn can make you feel more like really laughing, which can be an amazing gift to yourself. Don’t wait to have laughter handed out to you. Don’t be dependent on cat-videos on YouTube. Laughter is in every one of us. It’s a gift, it costs nothing, and takes no time at all. 5. Now open your mouth and say “hahahahahahah”…. As loud as you like. There, you’re laughing. It may be fake, but that’s fine – you are still getting all the benefits. And it will probably turn real any second, because there is nothing funnier than doing fake laughter, with yourself in the mirror for no reason.